Here at Meguiar’s we’re hugely proud to offer one of the widest ranges of cleaning products available. 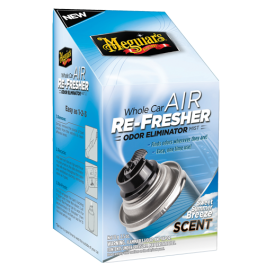 From spray-on detailer to engine degreaser and everything in between, Meguiar’s has all the solutions to ensure car cleaning is always kept easy and inexpensive. 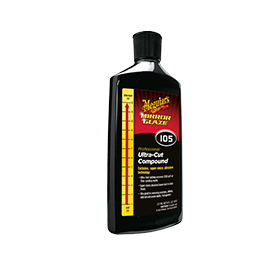 Often overshadowed by our incredible consumer range is the Meguiar’s Professional Series. 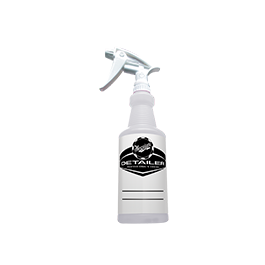 Just as the name suggests, this range of products (similar in use and application to the consumer counterparts) is intended for professional use only to achieve even greater results by the likes of bodyshops and detailers. 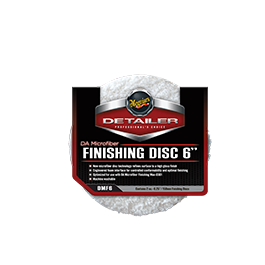 In the detailing world there’s one topic that continually remains at the top of discussions all year round – paint correction. We’ve all seen paintwork riddled with scratches or cobweb-like marks caused by poor washing techniques (from contaminated sponges and pads) as well as general wear and tear over time. With the right compound and application these paint defects can easily be rectified, but for those extreme cases (and where time is also crucial) the Meguiar’s Professional Series Microfibre System is the ultimate solution – quickly reviving and refining paintwork with increased cutting power and an easily-removed wax leaving a slick glossy finish. 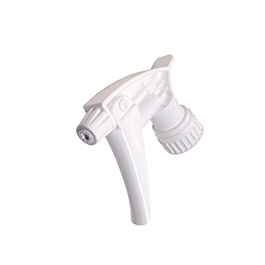 The Professional Series Microfibre System delivers fast cutting with minimal prep and cleaning necessary. The concentrated formula delivers low cost per car, but a good understanding of how DA (Dual Action) systems work is required to fully benefit from its use. This includes the priming, application and cleaning of pads between each panel that is covered below. After prepping the paint surface with our Professional clay bar (using Last Touch Spray Detailer as a lubricant), the first step is to apply the Meguiar’s Correction Compound to a microfibre cutting pad. Make sure the entire pad is coated evenly with the compound, using a spreader if necessary to reach the outer edges. With the pad completely covered, start by spreading the compound over the bodywork at a speed of 3000 opm (selectable on the Meguiar’s MT320 DA system) before increasing up to 5800 opm as a working speed. Ensure no pressure is applied with a slow arm speed and continue to work the product until hazed. 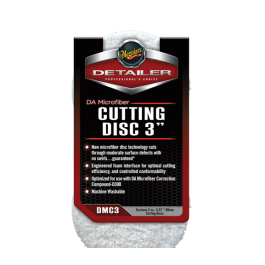 Meguiar’s Professional Microfibre Cutting Discs offer a much greater level of cut per pad to achieve rotary levels of correction in minimal time. Maintaining the right pressure and speed is a must with this level of cutting. When you’re happy with the application, break the surface with a clean microfiber cloth before buffing the remaining compound. NOTE: If the area requires another application of compound, ensure the cutting pad is prepped using an airline before re-coating with compound. 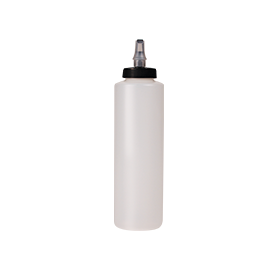 Within a few minutes the results should be instantly noticeable – no more cobweb marks or scratches should remain (providing those scratches weren’t so deep they could be felt through the lacquer). Once you’re happy with the correction, it’s now time to polish and seal the revived paintwork. Unlike the consumer range, the Professional Series only requires one product for both polishing and waxing – Meguiar’s Microfibre Finishing Wax. 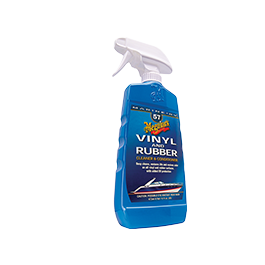 Boasting a rich blend of polymers, silicones and carnauba for high gloss protection, Microfibre Finishing Wax can be quickly applied in one-pass leaving no dust or residue. 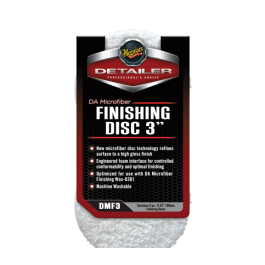 Meguiar’s Finishing Wax is primed and applied to the Finishing Disc exactly the same way as the compound, ensuring an equal amount of wax coats the entire pad. Spread the wax using the MT320 at 3000 opm initially and work it at 3800rpm with increased arm speed but no pressure applied. 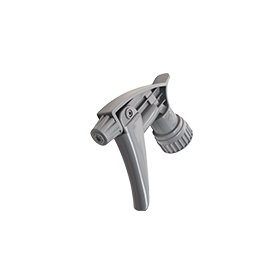 TIP: For minor swirls and haze you can use the wax as a one-step system increasing the speed to 4000 opm. With the wax evenly applied, leave the wax to cure for a few minutes before removal with a clean microfibre cloth. When the wax is ready to be buffed off, you should be able to easily swipe your finger through it (pictured above). A great system that always delivers stunning results. With the addition of the “Extra Cut” pads even serious defects can be removed with ease.